VietNamNet Bridge - The credit rating market is dominated by three big players, which hold 95 percent of the world’s market share. 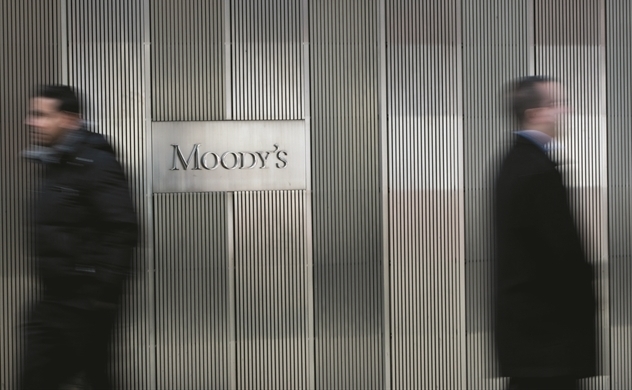 They are Standard & Poor’s (S&P) and Moody’s, which hold 80 percent, and Fitch Ratings 15 percent. The positions of the three companies are consolidated by law, not only in the US, but also in other developed countries. Enjoying the monopoly, they had the power to negotiate good prices which helped them obtain a high profit margin of 50 percent in the credit market expansion period 2004-2009. In the early 20th century, credit demand boomed in the US. The first credit rating firms helped creditors assess the debt payment capability of debtors. Credit rating firms assess credit risks of securities, financial tools and borrowers’ capability, and in some cases, the reliability of governments and securities. In October 2018, Hoan My Hospital in Vietnam issued VND2.33 trillion worth of corporate bonds in the international market under the guarantee of CGIF, an investment fund of the Asian Development Bank (ADB), which was given an ‘AA’ by S&P. This was one of five times CGIF gave guarantee services to Vietnamese businesses, while Hoan My was the first unlisted company which received the service. An analyst commented that the corporate bond is still fledgling and all bond issuance campaigns need to be implemented with prestigious guarantors. Vietnam hopes the debt market can serve as a new capital channel for the national economy. “Very few Vietnam’s businesses receive credit ratings. Bond holders cannot assess the risk,” said Phung Xuan Minh, chair of Sai Gon Phat Thinh Rating, the first credit rating firm licensed by the Ministry of Finance (MOF) in Vietnam in 2017. Moody’s has raised Vietnam’s rating to Ba3 with stable prospects. Some Vietnamese corporations have also been assessed by the Big Three, especially large listed banks. However, a high number of enterprises have the right to issue bonds, but still are not rated. “If the institutions are rated, investors will have information to make investment decisions, thus helping the institutions easily call for capital,” Minh said. In Vietnam, because of the lack of independent credit rating firms, banks and investment funds give ratings to themselves. This increases transaction costs in the market. Tran Van Dung, chair of the State Securities Commission (SSC), said the corporate bond market can develop only if there are developed credit ratings and government bond market. Some local newspapers quoted their sources as reporting that Vietnam plans to license three credit rating firms by 2025.